Driving down to Norfolk in a few minutes for the opening of Havana-based Cuban artist Sandra Ramos, who is in many people's opinions (including mine), the leading contemporary Cuban artist in the world. The Ramos solo show, Exodus, runs from October 23 - December 27, and opens tonight in Norfolk's leading independently owned commercial fine arts gallery: Mayer Fine Art. If you are a Norfolkian, come by and say hello. Last night I took the legendary photographer Lida Moser (who just turned 90 and whose work I represent) on a date to a wine tasting at The Bottle Shop. I had heard that the tastings at this family owned wine shop were amazing and indeed they are. Not only did we taste some fabulous wines, but as everyone knows, good wine and art mix, and we got to talking to a nice couple and Ms. Moser ended up selling four of her vintage photographs! Check out the The Bottle Shop here. Man Listening to Concert Outside MoMA, New York. 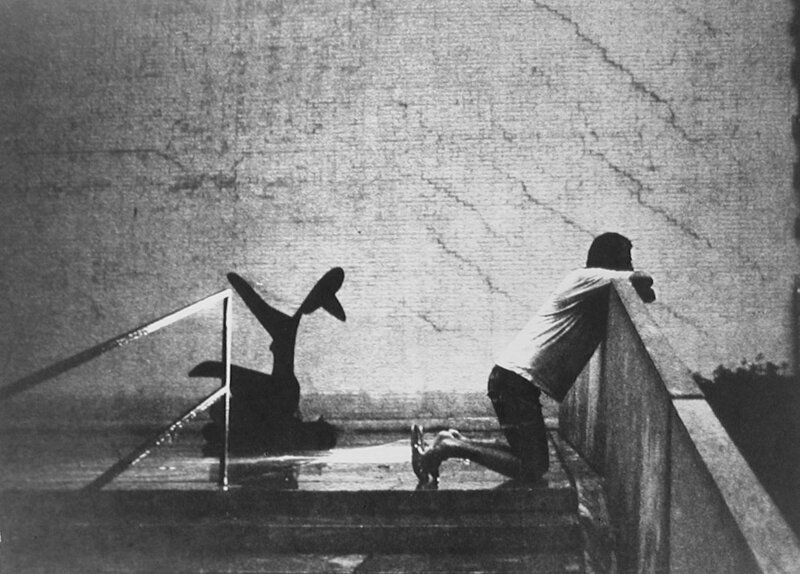 Gelatin Silver Print by Lida Moser, c. 1974. She will be giving a slide show and lecture during Fotoweek DC at the Torpedo Factory, on Sunday Nov.7 at 6:30PM, lst floor. "A Photographers Life" is the subject of her talk. Preceding that is a reception at Multiple Exposures Gallery on the 3rd floor.